Please note that using phpMyAdmin is only one way to create a database. Many servers use Cpanel, and you can create databases and users directly with that user interface as well. Your server needs to already be running phpMyAdmin. This is usually accessible through the server's console or Cpanel. Navigate to the phpMyAdmin page. If you have installed WAMP for example, you can navigate to http://localhost/phpmyadmin in your browser window. Click on the Databases tab at the very top of the page. Enter your databases name under where it says create database. You can leave the Collation setting as it is. Click the "Create" button. You will see the "Database has been created" message. If you click on your database name on the left hand side it will show you all of the tables in your database. Currently there shouldn't be any. 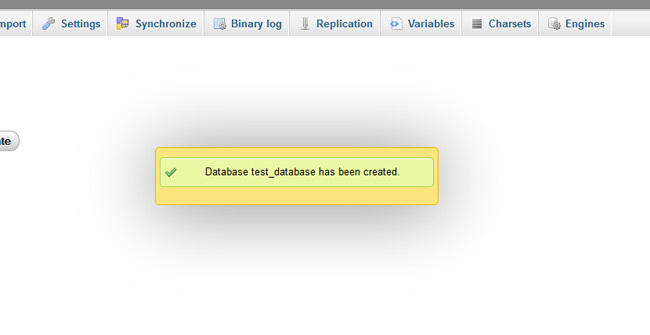 This is good because we are going to add tables into the database during the CMS installation. Entries into the database is how a CMS stores content and other settings, such as users. Tables are used to group information to make databases perform faster. The styling of the site is selected by the coding in the files such as a Shape5 Siteshaper. Click "Privileges" to assign a new user to the database and set their access permissions to the database. You will need this information during the CMS installation. Any users who are already assigned or who you create will appear in the main window on the left.